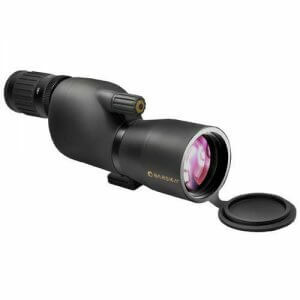 The Naturescape Spotting Scope Series from Barska takes optics to a higher lever. 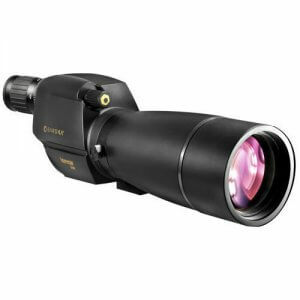 Naturescape Spotters come with a phase coated BAK-4 prism and fully multicoated optics with premium ED (Extra Low Dispersion) glass, which proves the viewer with exceptional clarity and resolution. Phase coating the Naturescape's prisms increases optical quality by correcting or "phase shifting" the light that is reflected off the prisms and optimizing it for the spotter's aperture size. Compared to conventional achromatic lenses, ED glass lenses minimize chromatic aberration and other forms of distortion, which results in higher resolution and contrast. 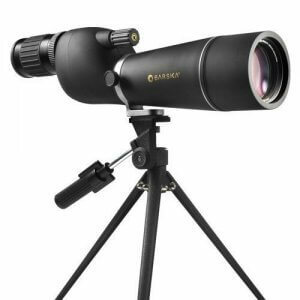 Barska Naturescape ED spotters are 100% waterproof and fogproof, making them at home in the most demanding environments. 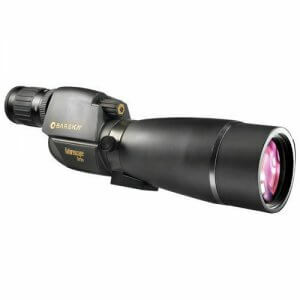 Naturescape ED spotters include a deluxe hard carrying case and BARSKA'’s Limited Lifetime Warranty.